Make a statement about your favorite Boeing aircraft when you wear this jacket embellished with a special flexible, die-molded heat-transfer emblem on the left chest. 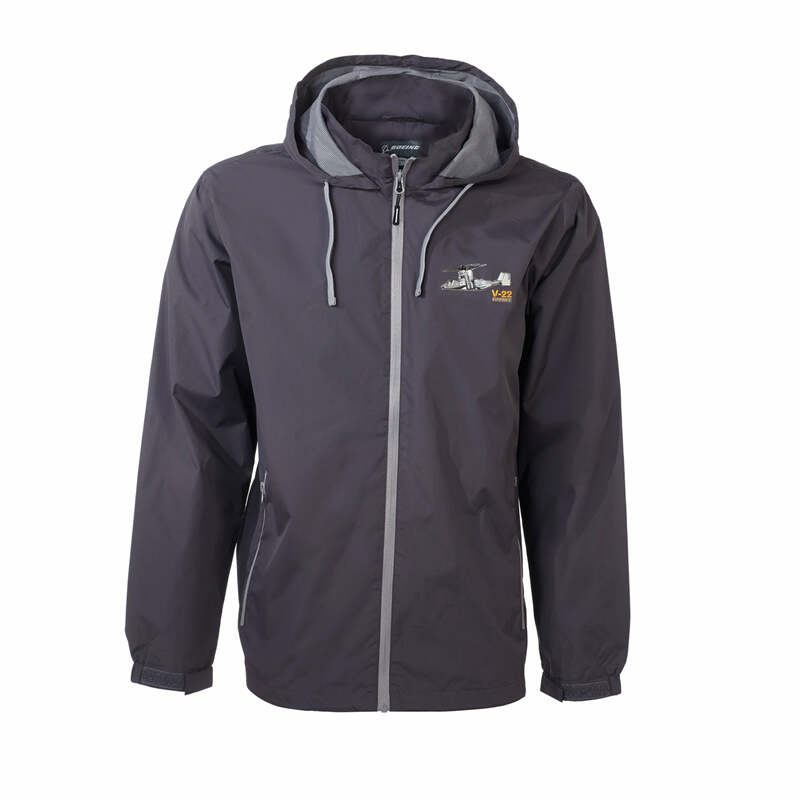 Hooded jacket has a 100% polyester micro-poplin body with water-repellent finish, contrasting mesh lining, contrasting flat drawcord, set-in sleeves, contrast reverse coil zippers, half-elastic cuffs with Velcro closure, elasticized drawcord bottom with cordlocks, and inside pocket for cellphone or other device. Dark Grey. Imported.